Alan Hirsch received his BA from Amherst College and JD from Yale Law School. He is the chair of the Justice and Law Studies program at Williams College. 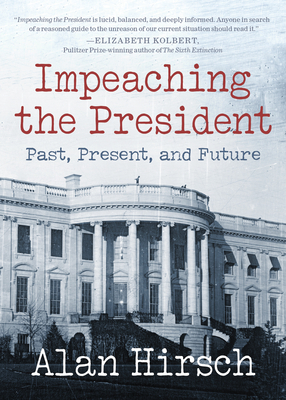 Alan has authored several books, including For The People: What the Constitution Really Says About Your Rights (Free Press) (coauthored with Akhil Amar) and A Citizen's Guide to Impeachment (Basic Books), The Duke of Wellington, Kidnapped! (Counterpoint). His work has appeared in the Los Angeles Times, Washington Times, Newsday among many other places.